George R.R. Martin’s best-selling book series, A Song of Ice and Fire, is vividly brought to life in HBO’s highly-successful medieval fantasy series, Game of Thrones. 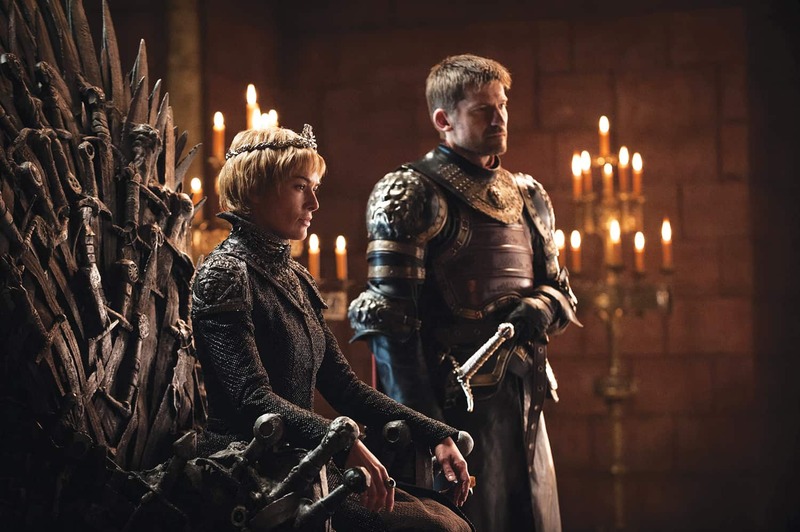 It’s the epic story of powerful families—kings and queens, warriors and spies, heroes and traitors—playing a fatal game in the quest to sit atop the Iron Throne and control the mythical continent of Westeros. But winter is coming, and while the battle for power wages on, an ancient and supernatural enemy gathers force in the frozen wasteland to the North. 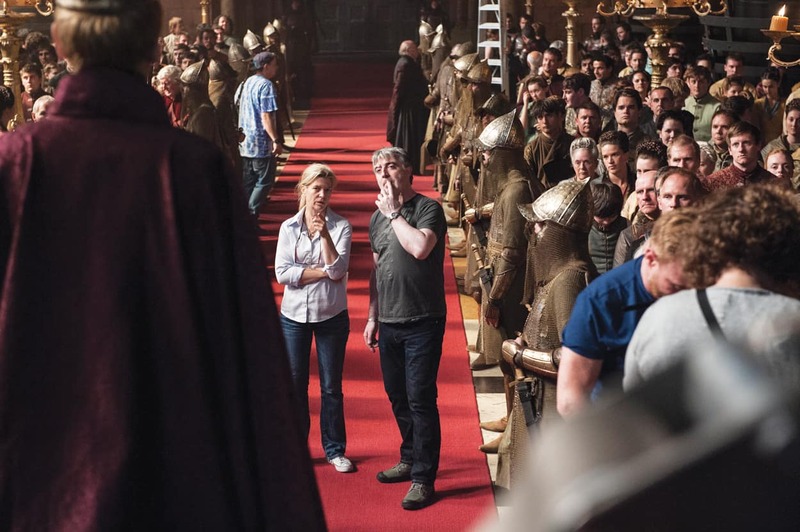 Known for its immense scale, cinematic style, and intricate storytelling with memorable characters interlinked across multiple storylines, Game of Thrones, now in its seventh season, helped announce and define what many call the “Golden Age of Television.” To achieve the show’s epic scale in a reasonable time frame, the production makes use of two crews shooting simultaneously across Europe: the “Dragon Unit” in cold and snowy locations, and the “Wolf Unit” in sunnier, warm locations. 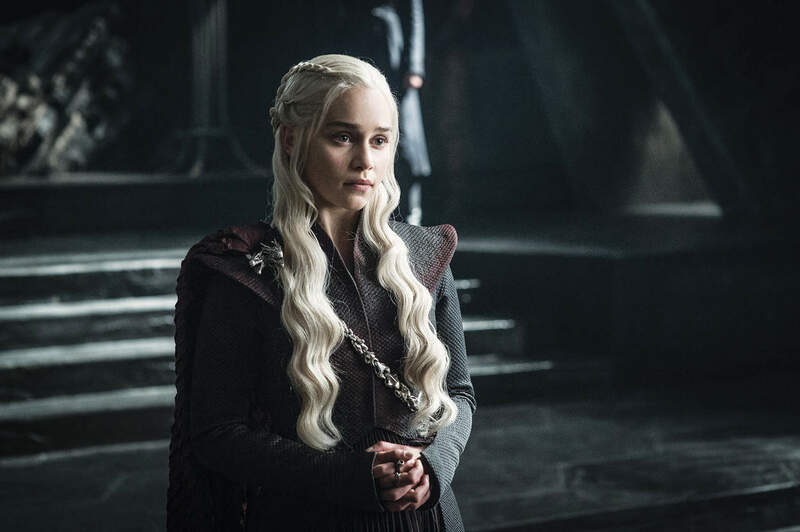 With the new season premiering to massive views and critical acclaim, Camera Operator reached out to Dragon Unit A camera operator, Sean Savage, SOC, ACO, Associate BSC to learn more. Camera Operator: How did you get the job of an A camera operator on Game of Thrones? Sean Savage: I was booked to be the A camera on 2nd unit halfway through Season 1. When there, I met Alik Sakharov, ASC and we formed a good working relationship. He then returned as a director on Season 2 and I was asked if I would become the A camera operator on the Dragon Unit. CO: Who is a part of your team? Savage: I have an amazing team, many of whom have been with me since Season 1 and 2, and indeed will be there on the final season later this year. My 1st ACs have been Sebastian Barraclough and Tom Taylor. My 2nd ACs have been Jon Evans, David Churchyard, and Rich Davis. My B camera operator is David Morgan, a man of great experience who has spent more than 40 years in the camera department. He is ably assisted by 1st AC, Marc Atherfold and 2nd AC, Sam Donaghy-Bell. My grip team is led by my very good friend and right-hand man, key grip, Pat Garrett, best boy, Kirk Thornton, B camera dolly grip, Guy Bennett, and A camera dolly grip, Andy Woodcock. There’s also the crane and head techs, Duncan More, John Crawford, and Ben and Laurence Edwards. CO: What is the shooting schedule and budget like? Savage: The season is typically around 25 to 26 weeks long, about 110 days per unit. We have two units, Dragon and Wolf, so we likely get through over 220 shooting days to produce the typically 10-episode season. 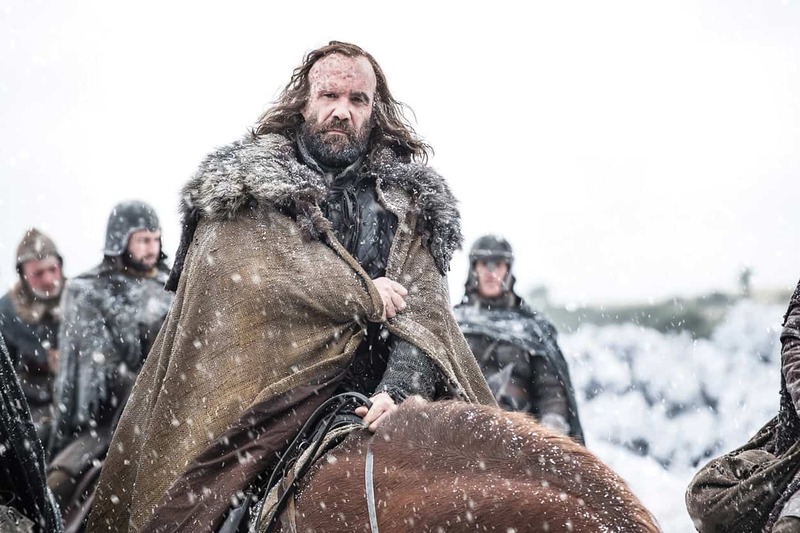 The budget for the show has gone from approximately 40 million dollars for Season 1 to a reported 165 million dollars for Season 6, with the “Battle of the Bastards” sequence alone costing about a million dollars a day during its 23-day shoot. On certain days, if it’s a controlled environment, we’ll average about 6-7 pages a day. On other days, we’ll shoot only 1/4 of a page in a huge battle. CO: Can you talk a bit about the locations? Savage: Game of Thrones has shot in Northern Ireland, Malta, Morocco, Spain, Croatia, Canada, and Iceland. The vast majority of work, both exterior and interior, is done from our production base, the Titantic Studios located at the Harland and Wolf Shipyards where the Titantic was built. Northern Ireland can supply beaches, mountains, quarries, forests, and caves all within an hour’s drive of our studios. CO: What gear do you use on set? Savage: On a daily basis, I have access to a Moviebird 44-foot telescopic crane paired with a GEO stabilized remote head. This is all mounted on Alfagrip’s fantastic Mark III Scarab, an all-terrain motorized crane base/tractor that was very much designed to service Game of Thrones. 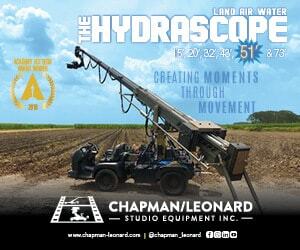 In addition to this, I have a 15-foot GF-Multi Jib Arm paired with a Scorpio EZ Head. We have one Chapman/Leonard Hybrid Dolly and two Mark IV Super PeeWees, and a wealth of grip bits spread over another two trucks. We have over the seasons used many tracking vehicles such as The Vampyre Batt mounted with a Bickers Russian Arm and the Shadow Tracker. Steadicam is also one of our often used tools. And of course we shoot with the Arri Alexa Camera and Cooke S4 primes as well as Angenieux Optimo zooms. And within one season we’ll use the Libra, Mini Libra and Scorpio remote heads, along with Grip Trix tracking vehicles. CO: Can you tell us about the cinematic style of the show? Savage: People often comment that Game of Thrones looks very cinematic. I believe this is partly because of how the budget and schedule allow us to shoot it on the scale that we do. Everyone from the writers, directors, cinematographers, and operators have great vision and imagination, and are always pushing to achieve the big shots and sequences. I really feel that as an operator, you always try your best to present the best shot that you can, maybe this will be constrained by time, etc. but try you must! I think the two creators, David [Benioff] and Dan [D.B. Weiss], need enormous credit because they’ve created such a creative environment where there’s not a lot of politics, it’s a great atmosphere and incredibly constructive. And I think the style of the show is a testament to that. CO: How do you shoot such intimate battle scenes and what is it like having to work in those conditions? Savage: The benefit of working on a show for seven years is that you form very close and trusting relationships with the stunt team and horse team. Due to this understanding, we are able to achieve what we require fairly quickly, and for instance Rowley Irlam, our Stunt Coordinator, knows that I am not going to deviate from his plan during a stunt sequence. If you remember the sequence in the “Battle of the Bastards” episode where Jon Snow goes to ground apparently drowning under the weight of many bodies, we were able to achieve that sensation because Kit and I were happy that a load of stunt guys would literally be falling on top of us and we would both have to fight our way to the surface. We had in place a safe word if we felt the crush was too much or dangerous. We are also lucky to have an amazing horse team, the Devils Horseman, led by Camilla Naprous, who like the stunt team are incredibly professional, and I don’t think we have had any incidents at all in the last seven seasons. A rather remarkable fact when you consider how many battle sequences involve horses. CO: How are you protected? Savage: We take all the necessary safety precautions but sometimes we’ve found that a simple wooden shield sported by a grip is our most useful piece of safety equipment when axes, swords, arrows, etc. are raining down. When I operated the oner in the middle of the “Battle of the Bastards” sequence, the safety boiled down to many, many rehearsals, and my stunt coordinator following me through the battlefield, reminding me of where the next horse or warrior was coming from. CO: How do you work with the challenges of weather and light? 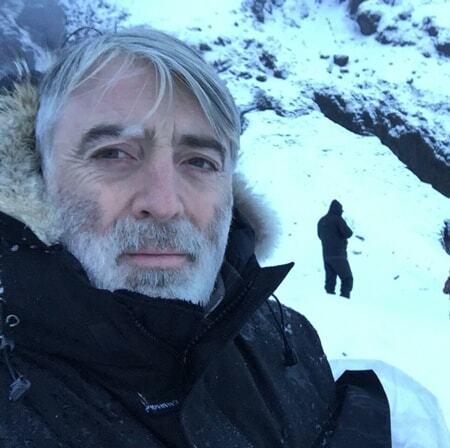 Savage: We have a saying: “If you don’t like the weather, wait ten minutes.” Filming exterior sequences in Northern Ireland are challenging. Last season we experienced bright sunshine, snow, and 80 mph winds all whilst located on a clifftop overlooking the Atlantic Ocean. During filming in a quarry last year, we had such a severe rainstorm it caused the side of the quarry to collapse, which formed part of the Ice Wall! CO: Speaking of the Ice Wall, how does VFX play a role on the show? Savage: Game of Thrones has an enormous amount of VFX work produced and designed by the amazing Steve Kullback and Joe Bauer. I work incredibly closely with these guys, and really enjoy our creative relationship. I think the VFX team is unique on Game of Thrones in how they know when to expect excellence, and when to meet us halfway because of weather or location constraints. CO: Game of Thrones has a lot of secrecy surrounding it. Can you talk about how secrecy is handled on the set and what that experience is like? Savage: It’s very similar to other large productions these days, we control our sets even to the point of police enforcement, and the Northern Irish government sets up no-fly zones for drones, and the production has limited release of sides—all of which does make it a bit difficult at times, but such is the risk these days. Thankfully, the wildness of the locations Dragan Unit visits, often hours outside of major cities, combined with the frigid weather means journalists can’t find us, and we don’t usually get bothered by anyone. CO: What’s it like to work with the cast? Savage: A great deal of the cast of Game of Thrones were relatively new faces to the screen. I have had the privilege of being part of their journey, and have enjoyed helping them to understand the craft—whether that’s the importance of hitting their marks, or understanding the impact of the various lens sizes with regard to their performance. We have all worked together for such a long time now that we are really like a family. A lovely feeling indeed! CO: What are you most grateful for as an operator on this show? 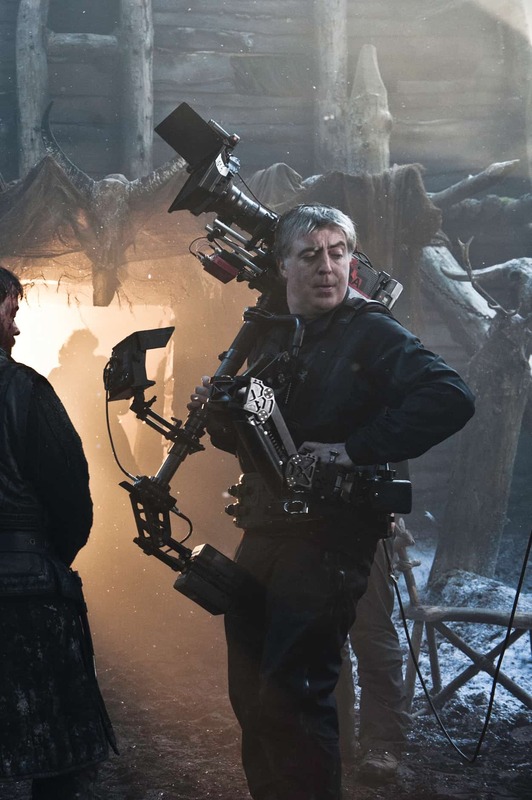 Savage: One of the privileges of being an operator on Game of Thrones is that more often than not we are asked by our director or DP team to operate a truly standout shot or sequence. For example, the 360-degree crane shot at Castle Black in Season 3, the “Red Wedding” sequence conceived by the great David Nutter, the remarkable sequence “Hard Home,” and “Battle of the Bastards” directed by Miguel Sapochnik and lit by Fabian Wagner, BSC, ASC. All these sequences call on every ounce of skill and experience that I have gained over 21 years of operating. It is always a privilege to watch a sequence evolve and develop. 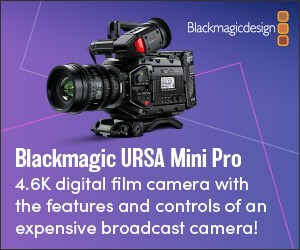 As the operator, you are privy to all the discussions with cast, director, DP, and in the case of Game of Thrones, able to contribute a vast amount. This show has really pushed my limits, and I enjoy living up to what it demands of me. It is very gratifying! CO: What are you working on next? Savage: I’m currently working on the Paramount film, Overlord. It’s a supernatural WWII movie centering around a military mission on the eve of D-Day. Directed by Julius Avery, produced by J.J. Abrams, with cinematography by my Game of Thrones compatriot, Fabian Wagner, ASC, BSC, as well as Laurie Rose, BSC. My 1st AC’s are Rene Adefarasin and Jamie Phillips. Sean Savage walked through the gates of Ealing Studios in 1984 as a 16-year-old trainee. He observed firsthand the structure of the camera department, and knew from an early age that to be a camera operator was his ultimate target. He was fortunate enough to be paired up with the likes of Remi Adefarasin and Martin Kenzie, who mentored him through his formative years. He’s also been privileged to have worked with directors such as Richard Loncraine, Jack Clayton, David Nutter, Miguel Sapochnik, and Shekhar Kapur, on such films and television shows as; Elizabeth, Game of Thrones, Penny Dreadful, and Phantom of the Opera, and feels as excited about the next filming day as he did 34 years ago.